Exactly half a century ago this week, a rocket shot off from the California coast. It carried the US’s first and only (known) space nuclear reactor, SNAP-10A, which has been circling the Earth ever since and will continue to circle for another 3,000 years. SNAP 10-A was different. 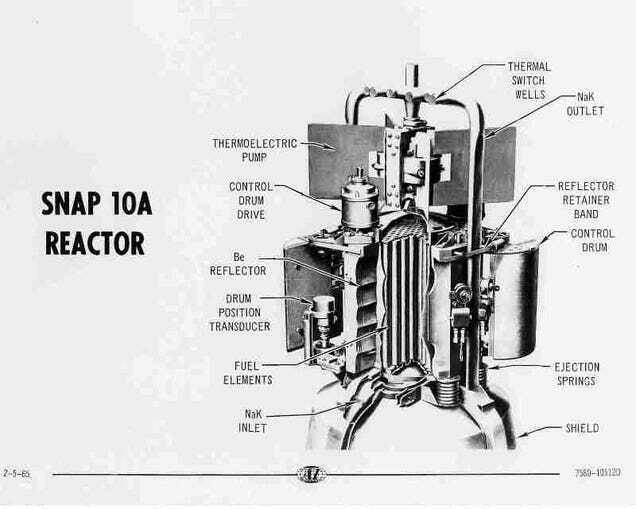 SNAP 10-A was actually a functioning reactor with a controlled fission reaction inside. 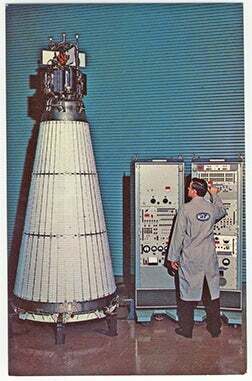 It contained enough uranium fuel to produce up to 600 watts of power for a year. Twelve hours after take off on April 3rd, 1965, it settled into orbit 500 kilometres above Earth and humans back on the ground remotely switched on the reactor. But it’s getting crowded up there. In November 1979, SNAP-10A suffered an “anomalous event,” and the parent satellite begins shedding pieces. “Six more anomalous events occur in the next 6 years, releasing nearly 50 trackable pieces. Release of radioactivity is possible but not confirmed,” reads a NASA report. These events were not documented in more detail, but they may have included a collision.